Do You Want To Learn How To Read Al-Quran ? Do You Want To Learn In Your Own Private Settings ? Do You Have Difficulties Committing To Physical Classes ? We acknowledge the challenges faced by most people. Our Al-Quran Home Study is designed to tackle those challenges faced by you. With the current fast pace of life, add in family commitments, it can be challenging for you to go out there attend a physical class on a regular basis. For some, it is personal achievement to be able to completing reading the Al-Quran. We at AspireInstitute.com, want to help you to achieve that goal with our online course. Feeling embarrassed to go to a physical class due to your age ? We understand. With our Al-Quran Home Study, you can learn at the comfort of your own home. The best part of it all, you can also rope in your partner, family members, your kids to learn together with you. Would you believe it that we make our online course to be easily accessible across all platforms. You can access the online course on your Desktop, Ipad, Tablet and even mobile devices. As we mentioned earlier, we are doing our very best in eliminating or minimizing, at the very least, your challenges in order to help you to achieve your desired personal achievements. “I like the Quran Ready eLearning Suite (now AspireInstitute.TV) because it teaches me how to learn Arabic right from the basics. I am allowed to get my fundamentals right at my own pace before I can move forward to the subsequent levels of learning to read the language. The modules are progressive and allows you to take it one step of a time. No rushing. 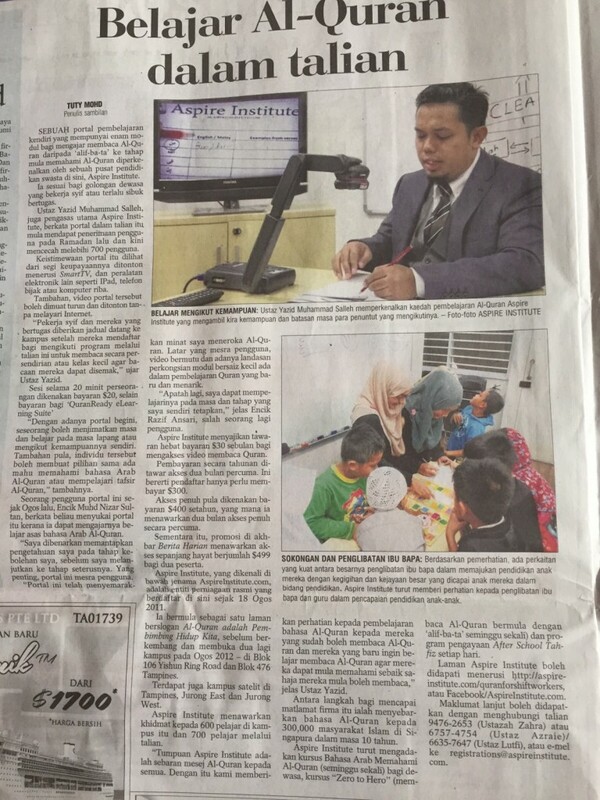 – Muhd Nizar Sultan, QuranReady eLearning Suite (now AspireInstitute.TV) since Aug 2015. – Razif Ansari, QuranReady eLearning (now AspireInstitute.TV) Suite User since May 2015. 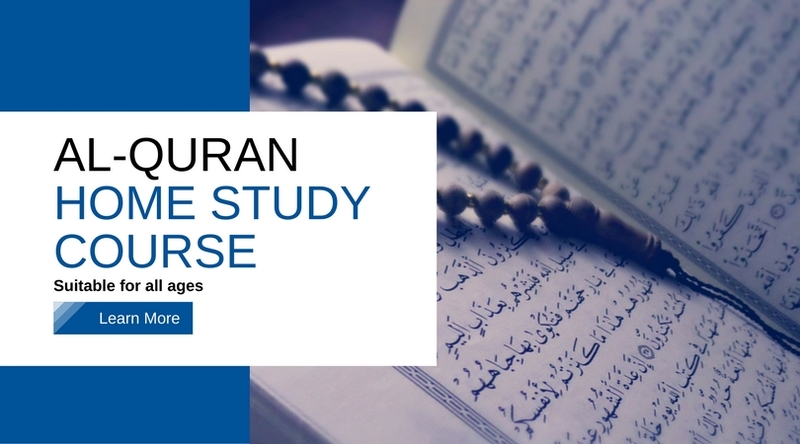 WHAT DO YOU STAND TO GAIN FROM OUR AL-QURAN HOME STUDY COURSE ? Ability to revise any lessons at any time. WHAT IS THE TOTAL VALUE OF THIS ONLINE COURSE ? A TOTAL VALUE OF $3765.00 !! BUT YOU ARE NOT GOING TO PAY THAT PRICE !! For a small investment of $15.00 monthly, you will gain access to our online course right away. Fret not. If you do have questions, any questions, feel free to direct your questions to us by filling up the contact form below. We will do our best to answer your questions and address your concerns. Read our advert on Berita Harian pg 20, Friday, 18 September 2015.